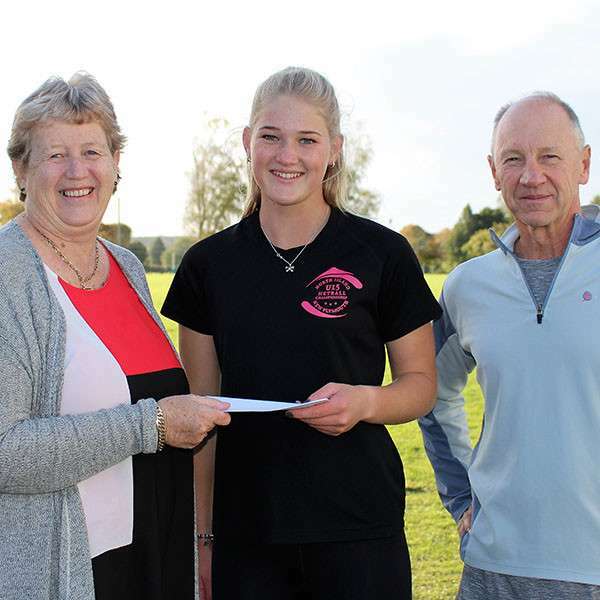 Te Awamutu teenager Leah Belfield made a stunning return to athletics three months after suffering season-ending torn ligaments in an ankle — winning two silver and one bronze for New Zealand at the Oceania Track and Field Championships in Suva. Coach Murray Green says Belfield’s achievements were amazing given the brief preparation. “Just to make the finals was going to be a good outcome but to come home with three medals was quite special. Leah has made the final of every event she has contested over the past 30 months, but this was potentially the banana skin.” With only six weeks to prepare for Oceania, Green says they concentrated on speed rather than strength and it paid off. “Her late surges are good pointers for the next season.” A day after her return home, Belfield was invited to join Athletics NZ’s relay development squad for next year’s World Junior Champs. This will involve a number of camps over the next year. Green has also been invited to attend the camps. New Zealand was one of 24 countries to compete at this year’s event, sending their largest team for many years — 48 athletes across three grades, senior, under-20 and under-18. Eleven of those athletes were from Waikato/BOP. Belfield (16) suffered the injury in a school accident in March. She spent five weeks in a moon boot and three weeks rehab, leaving just six weeks to prepare for her first international assignment. Her favoured 100m and 200m events attracted the largest entries — three full heats of eight competitors in each. The first two in each heat qualified for the final, along with the next two fastest athletes. In her 100m, Belfield ran a close second in her heat to qualify automatically. A mere 21 hundredths of a second separated the eight qualifiers, setting up a mouth-watering final. After looking likely to run fourth or fifth at half way, she surged late to grab the bronze medal with barely a metre covering the first four athletes. Belfield had a huge workload on the final day, 200m heats and finals and two relays. She was a dominant winner of her 200m heat but finished sore in her quads, needing physio treatment. The Kiwi got off to a flying start in the 200m final before the quads started to hamper her rounding the bend. On straightening, a fifth or sixth place finish looked likely but with determination she surged back near the front, ending up a close fourth in her second best ever time. Belfield had little time to recover before featuring in two relays. New Zealand claimed the silver medal in both the 4x100 and 4x400 with Belfield one of their three runners running in both relays. Australia won both the relays with notably no runners having to double — the benefit of a larger team. The Aussies broke both records, while New Zealand went under the old 4x100 record. Australia, with a team of approximately 160 athletes, topped the medal table with 146 including 63 gold, including 11 from the relays, averaging a little under one gold medal per athlete. New Zealand was second with 76 medals, including 34 gold, averaging around 1.6 medals per athlete. Belfield was assisted with funding for the trip by The Cornerstone Trust and Te Awamutu Athletic Club and is grateful for their assistance.